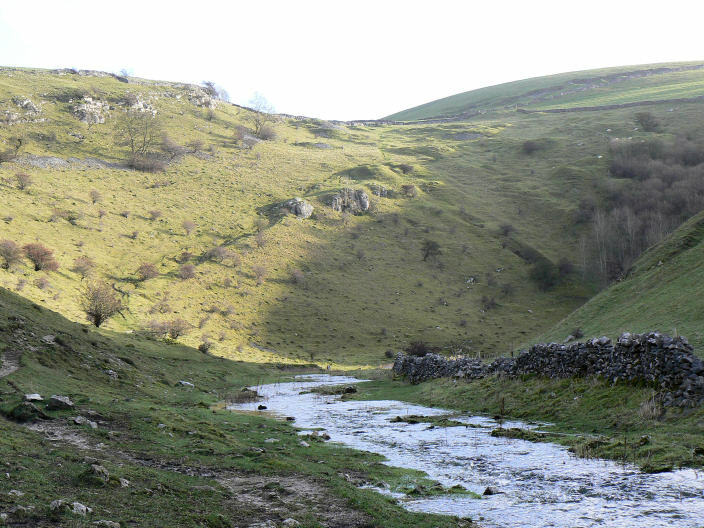 The day looked quite promising when we set off with blue sky, sunshine and no wind in the valleys. 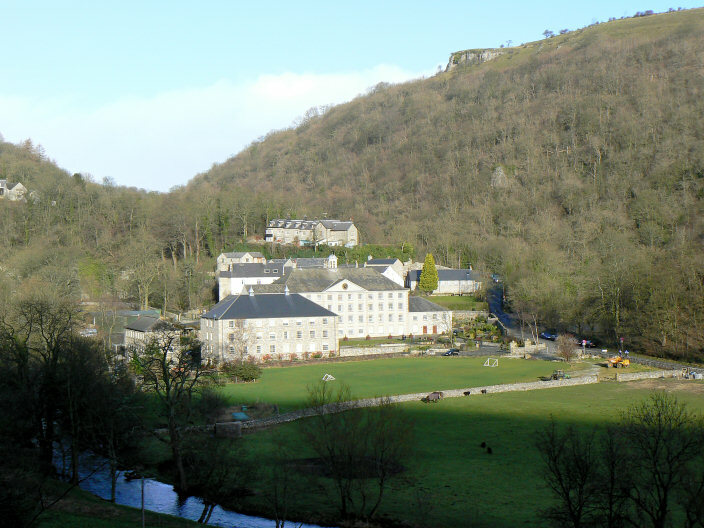 We had expected the car park to be quite full when we got there but the previous night's celebrations meant it was very quiet so we had the rare experience of walking along a deserted Monsal Trail. 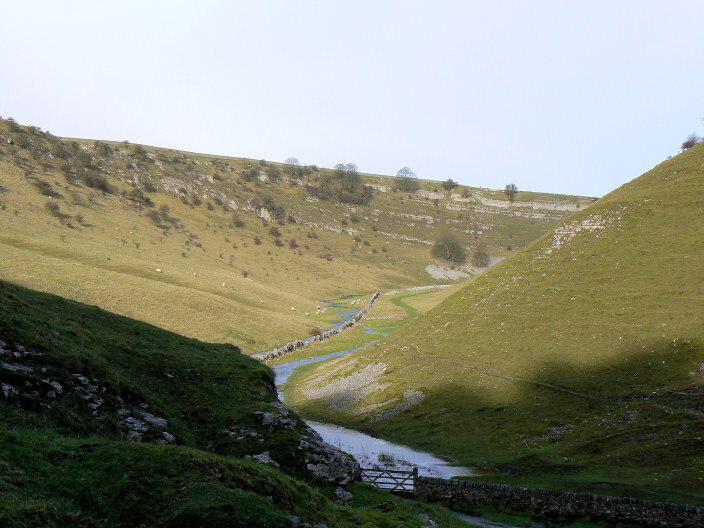 Just like the last time we walked in this area the rain (and sleet) started when we got to Tideswell Dale and never let up until we got back to the car park. 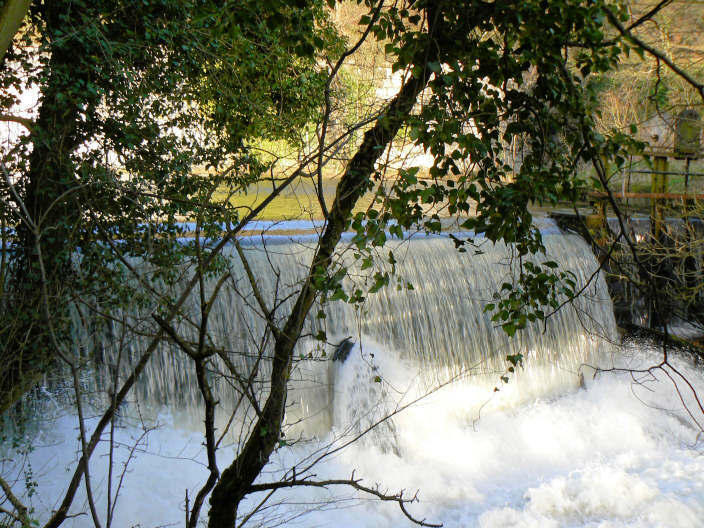 Weather: Bright and sunny to start heavy rain by the end of the walk. 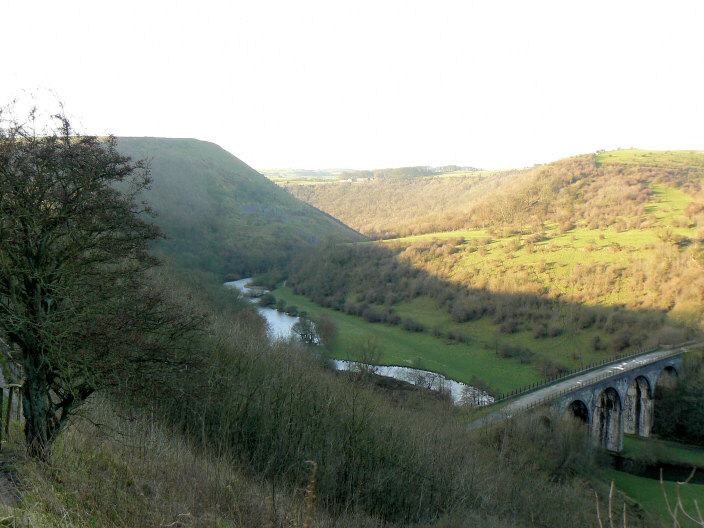 Monsal Dale and Monsal Viaduct, from Monsal Head. 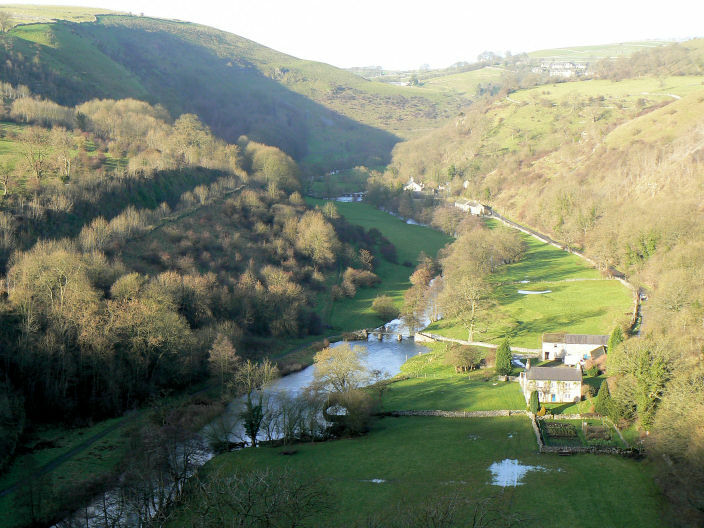 Monsal Dale from the viaduct. 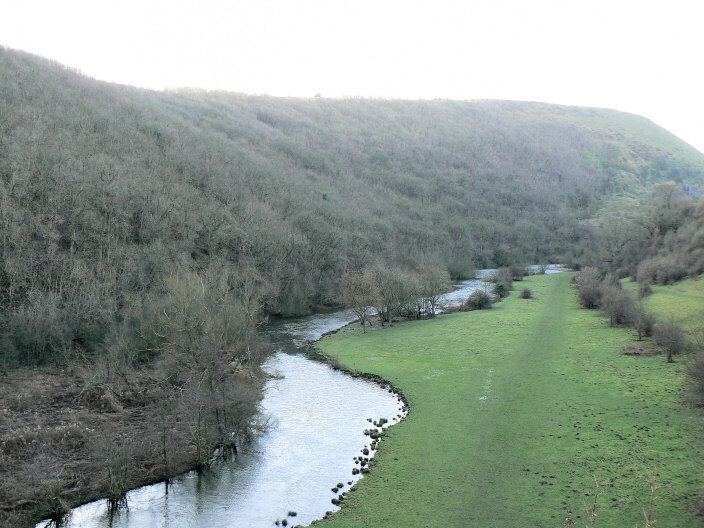 Monsal Head from the Monsal Trail. 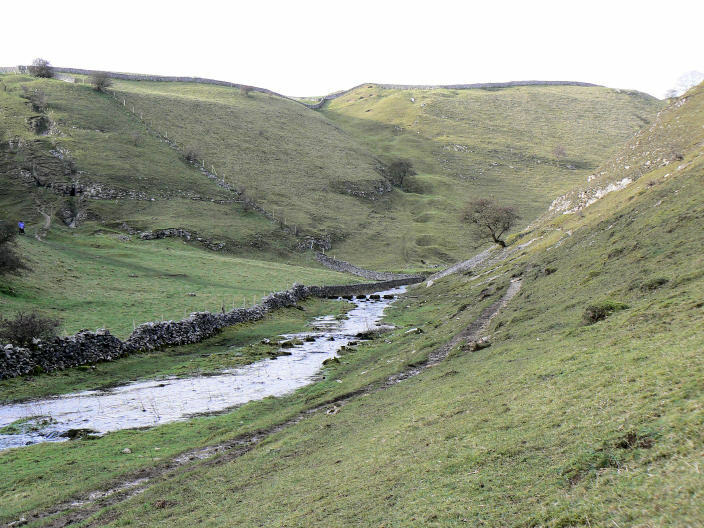 The stepping stones used to access Tansley Dale from Cressbrook Dale. 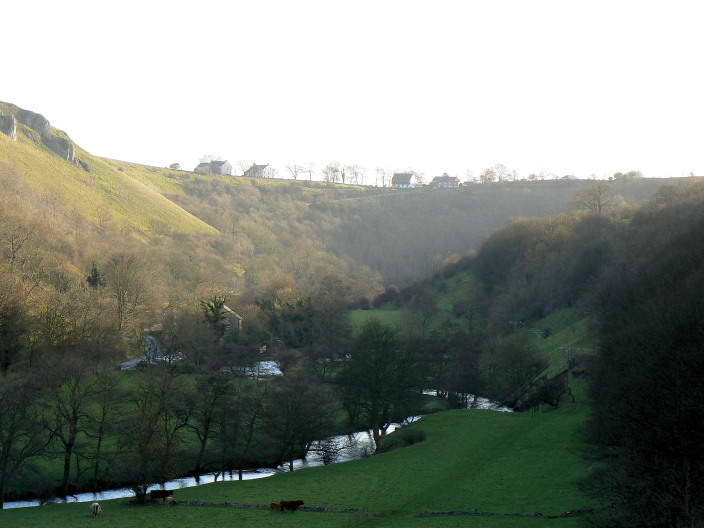 Cressbrook Dale, from the stepping stones. 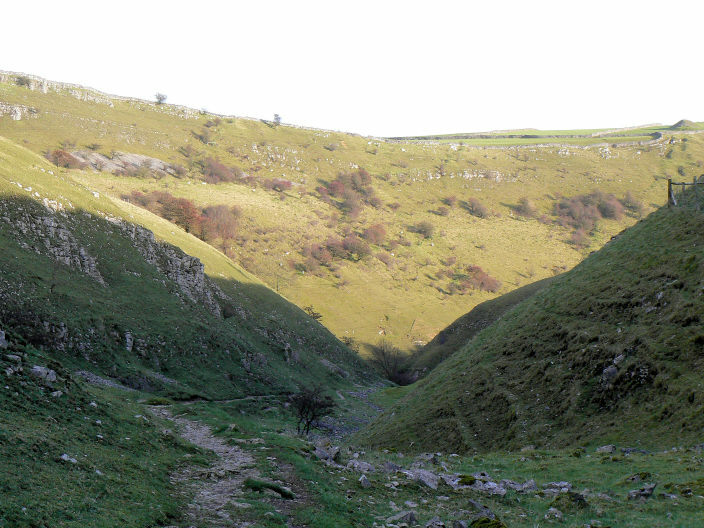 Cressbrook Dale from the start of Tansley Dale. 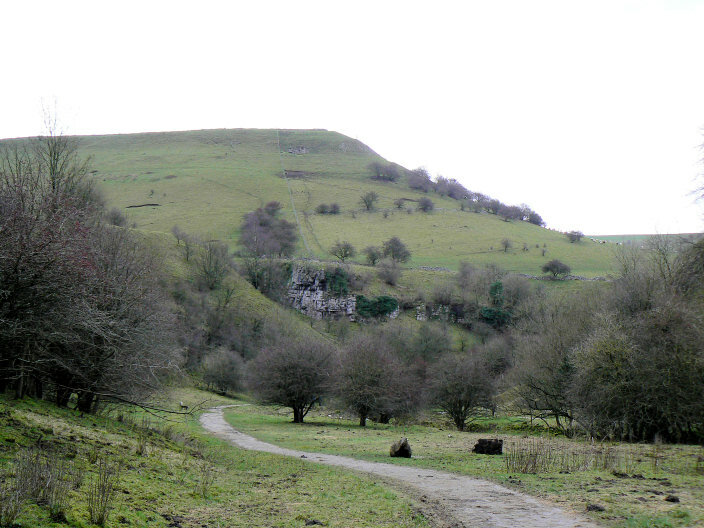 Looking back down Tansley Dale. 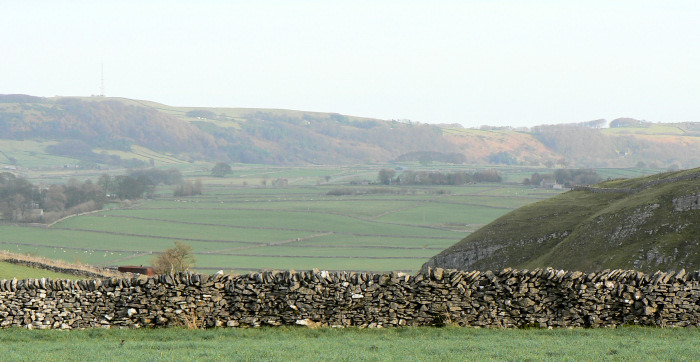 Eyam Edge seen from the top of Tansley Dale. 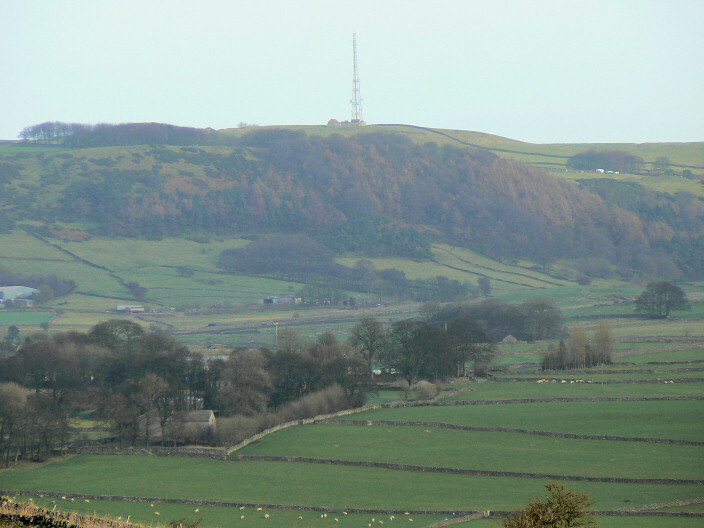 Zooming in on Eyam Edge and the mast that acts as a marker for Sir William Hill. 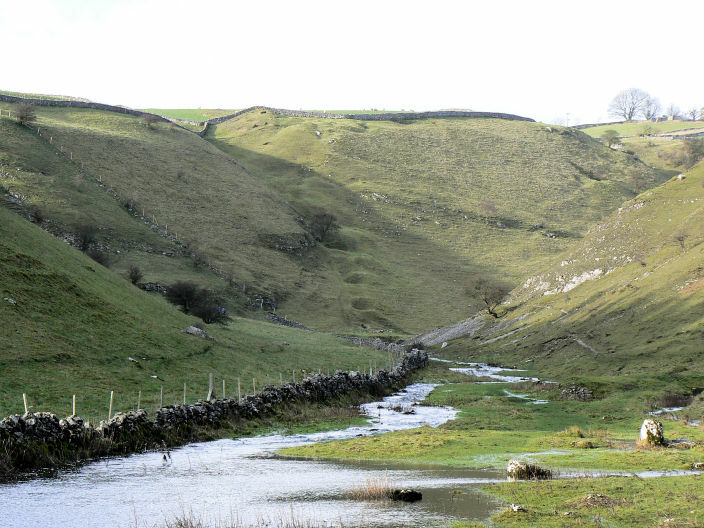 Tideswell Dale. Just after I took this picture the rain came and the views disappeared.